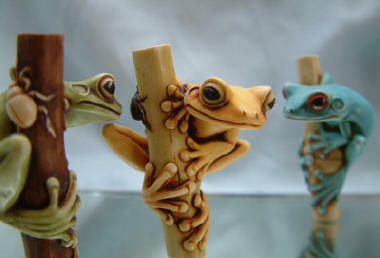 In addition to the regular edition, 35 bling pieces of each color frog were made. The bling versions were given to dealers or as prizes by ABE. Click on the links for photographs: blue bling version, yellow bling version, green bling version.